A quillow is a clever combination of a pillow and a quilt. 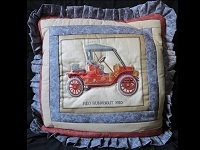 The quilt is sewn onto the pillowcase, folded and neatly tucked inside to make a pillow. 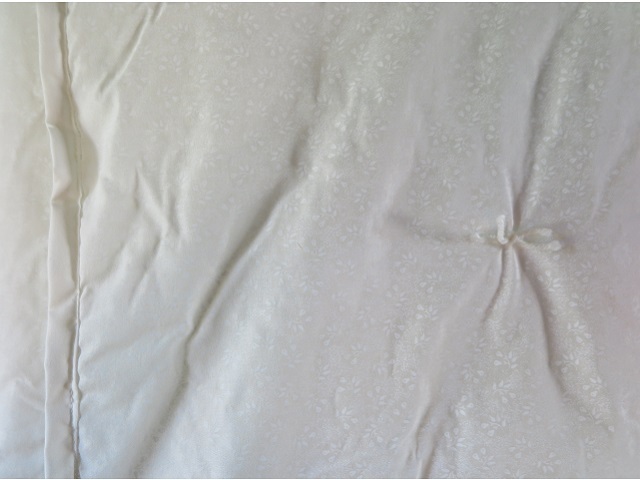 When you want to use the quilt to keep warm, unfold it from the pillowcase. 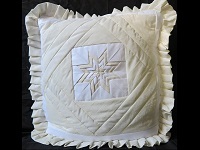 Then when you're done using the quilt just fold it and tuck it up in the pillowcase and you have a decorative pillow. 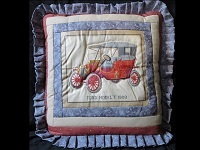 This one is made with great fabrics and an antique car theme. 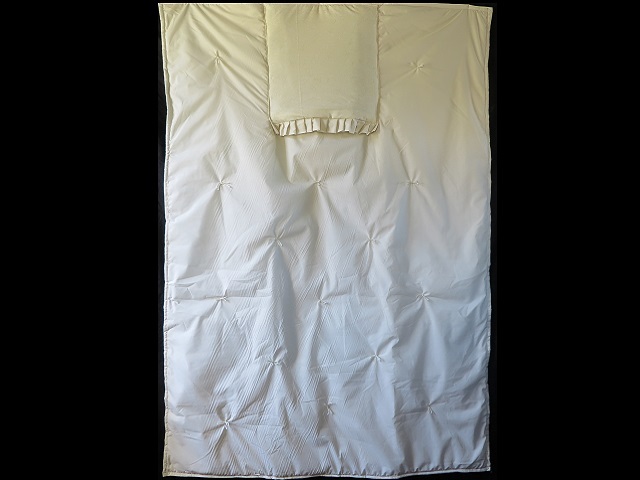 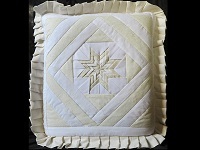 The inside of the quilt is made in the style of a knotted comfort.